Maia Horniak is an internationally acclaimed director in film/TV and documentaries, with over 15 years of professional industry experience, which she now brings to her role as programme leader for the third year of the BA in Creative Media Production. Maia was born in Paris to Czechoslovakian artists who later migrated to Australia. She was one of the youngest filmmakers to be accepted into the world’s most reputable film schools - FAMU, here in Prague - and later completed degrees in Fine Arts and Media Arts at Sydney's University of New South Wales and Copenhagen's Royal Art Academy. 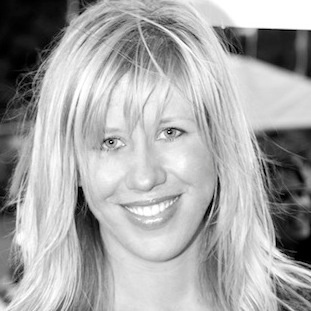 After working as an executive assistant to producers and directors on Universal and Miramax multi-million dollar feature productions in Prague and Los Angeles, Maia went on to complete a MA in film directing at the renowned Australian film, television & radio school (AFTRS) in 2006, where she was awarded the Gilbert & Tobin Award for 'Most Significant & Promising Body of Work'. Maia has worked with a number of renowned film production studios and companies, including Stillking (Prague) and Universal, Miramax and MTV (US), and with people such as producer Charles Roven, director Terry Gilliam, and the actors Heath Ledger, Matt Damon, Hugh Jackman. She is a passionate and inspirational teacher, with many years' experience teaching and designing courses in video, media, directing and performance. Maia has directed over ten award-winning short films, a television movie, several documentaries, commercials, and music videos. Her short films have had international success, screening at over thirty esteemed international film festivals including Sydney, Palm Springs, Milan, Brooklyn, Brussels, Edmonton, Flickerfest and Cannes, where her film 'Loveproof' was invited to screen in 2007. Maia is also a highly skilled editor and camera operator, and she has just completed directing, shooting and editing a documentary series "8 Million Steps" around Spain in co- operation with Slow Food International. Maia's first feature film, a romantic comedy "Wake With Me" is currently in the early stages of financing and casting.